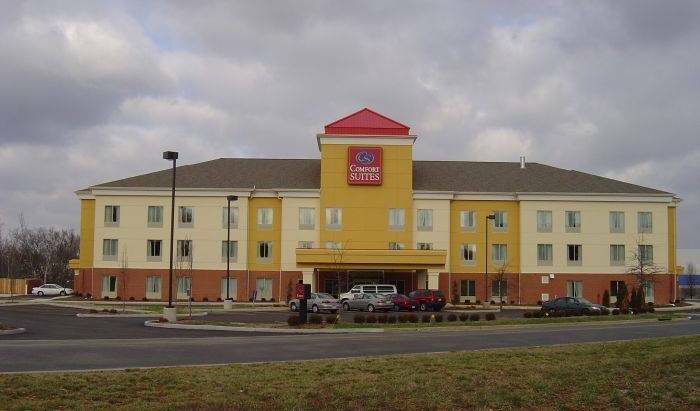 Comfort Suites Cincinnati Airport, a Hebron hotel near the Cincinnati/Northern Kentucky International Airport The Comfort Suites® Cincinnati Airport is ideally located just one mile from the Cincinnati/Northern Kentucky International Airport. 3 1/2 Short miles from the city is the most relaxing beautiful place you can imagine. 12 Acres of of gardens, bird watching, bicycling, and swimming in the huge outdoor pol. All rooms have King size beds and private baths, couches to relax on .